Signe Hammarsten-Jansson, known as Ham, designed her first postage stamp for Finland in 1929, her last in 1962 and stamps with her designs were in daily use until 1975. Her designs included around 200 commemorative stamps, as well as the lion definitives of 1930 to 1952 and the successor lion definitives of 1954 to 1975. She also designed a number of high-value definitives and air stamps. She set the standard for Finnish stamp design for almost fifty years and was responsible for arguably the most recognisable of all of Finland’s stamps. 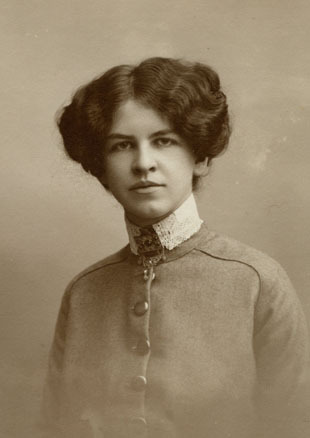 Signe Hammarsten was born in Hannãs in Sweden on 1 June 1882. Having left Stockholm University in 1905, she worked as a drawing teacher in a Stockholm girls’ school. She met her future husband, Viktor Jansson, a Finnish sculptor, while in Paris in 1901 and they were married in 1913. The couple lived in Paris before moving to Finland in 1915. Ham resumed work as an illustrator after the birth of her daughter, Tove, and in 1924 became the first artist permanently employed by the Bank Note Printing Works of the Bank of Finland, as well as the first female in this field of work in Finland. Anyone surprised that a woman was appointed should understand that Finland had long been in the forefront of women’s rights. In fact, Finnish women were the first in the world to have unrestricted rights both to vote and stand for parliament, with 19 female MPs elected in 1907. Coupled with that is the prominence that female artists and writers had long enjoyed in Finland’s small cultural elite. Ham’s stamp designs can be appreciated for their skill and quality but also for providing a narrative on the economic and social development of Finland during her time of influence. Finland had been an autonomous Russian Grand Duchy since being conquered by Russia in the 1808/1809 war. The Russian revolution, however, enabled the Finnish senate to declare independence on December 1917, which led to Finland having to build its national identity. Ham helped in this quest with her stamp designs. The first set of stamps she designed was issued in 1929 and celebrated the 800th anniversary of Turku. Dating back to the 13th century, Turku is Finland’s oldest city and the stamps emphasised Turku’s historical importance, not least as a seaport. The most recognisable stamps designed by Ham were the lion definitives that were issued between 1930 and 1952. Following its declaration of independence from Russia in 1917 Finland had issued definitive stamps designed by Eliel Saarinen. 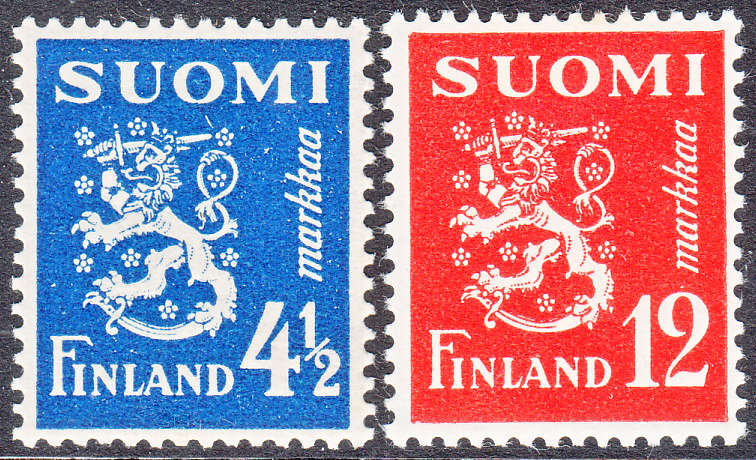 These stamps had the Finland lion Coat of Arms, which had been replaced on Finnish stamps between 1889 and 1917 by the Russian double-headed eagle. While this reaffirmation of Finland’s national identity was welcome, the stamps were not popular with the public or collectors, their size being too reminiscent of the Russian stamps in use in Finland before independence. A competition held in 1926 seeking a new design did not produce an acceptable result and, eventually, Minister Jonas Castren produced a sketch from which Ham designed the new series. These new stamps were a little wider than the Saarinen stamps, had a much more modern design and featured a larger version of the rampant lion from the Finland Coat of Arms. The lion definitives were accompanied by high-value pictorial definitives, of which Ham designed those illustrating the main post office in Helsinki, a Douglas DC-6 aircraft, Tampere and Helsinki harbour. The 1930 definitive series was in use until 1952 and included a range of perforation, watermark, colour and design differences, making it an excellent subject for a collection. The 1930-1952 definitives were eventually superseded in 1954 by a further updated design featuring the rampant lion, again designed by Ham. When currency reform was introduced in 1963, the definitive stamps were reissued with little design change until a new design for definitive stamps was introduced in 1975. Between 1922 and 2000 Finland issued 48 sets of stamps to support the Red Cross, comprising over 150 surcharged postage stamps. Ham designed no fewer than 22 of these sets between 1934 and 1958. Her earlier designs featured generals, scientists and statesmen but the highlight is arguably the much-admired 1937 warships issue. Subsequent designs were directed towards reconstruction following war and promoting the Red Cross. Ham was also prominent in the design of Finland’s anti-TB stamps. 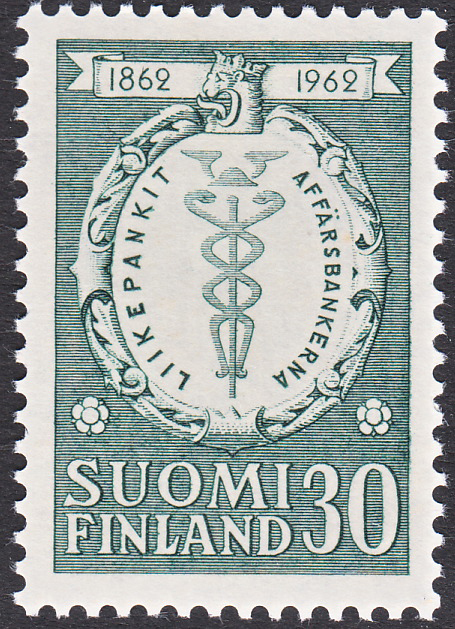 Between 1946 and 1983 Finland issued 81 surcharged postage stamps to help fund the fight against tuberculosis. Remarkably, Ham designed all the anti-TB stamps issued from 1946 to 1962 (a total of 51 stamps). Her designs from 1946 to 1948 illustrated very young children being treated and cared for, an expression of the post-war national commitment to the welfare of children and to the eradication of TB. Her subsequent designs depicted flora and fauna, subjects considered as being symbolic representations of Finland, thereby seeking to emphasise Finland’s national identity. One of Ham’s early designs was for two stamps issued in 1931 to mark the 75th anniversary of the first Finnish postage stamps. 25 years later she designed a stamp for the international philatelic exhibition in Helsinki that also marked the centenary of the first Finnish postage stamps. Other of Ham’s stamp-related designs included an issue for the 1955 national philatelic exhibition in Helsinki and a 1960 stamp combining the marking of the centenary of ‘serpentine roulette’ stamps and the stamp exhibition in Helsinki. There are many other notable Ham designs, including the 1937 Mannerheim 70th birthday stamp, four 1938 stamps marking the tercentenary of the Finnish postal service, the 1953 temperance stamp and the 1954 issue marking the birth centenary of the painter Albert Edelfelt. Signe Hammarsten-Jansson died in 1970 but her legacy is twofold: firstly, as a designer of a large percentage of Finnish stamps used by countless millions over many years; second, as the mother of Tove Jansson, who created the phenomenally successful Moomin stories, the characters of which have featured on a number of Finland’s stamps.